The Charles Bridge in Prague gets published! Prague is a magical city. It is so beautiful. We spent about 5 days there, and I never wanted it to end. I hope to return one day, and the sooner the better. Oh how wonderful to shoot there in HDR! The picture above is of The Charles Bridge, which is their famous bridge which crosses over the Vltava River and connects Old Town with the Prague Castle area. I took this shot over 8 years ago with a pretty simple film camera, and always thought it was one of my better shots from our European trip. 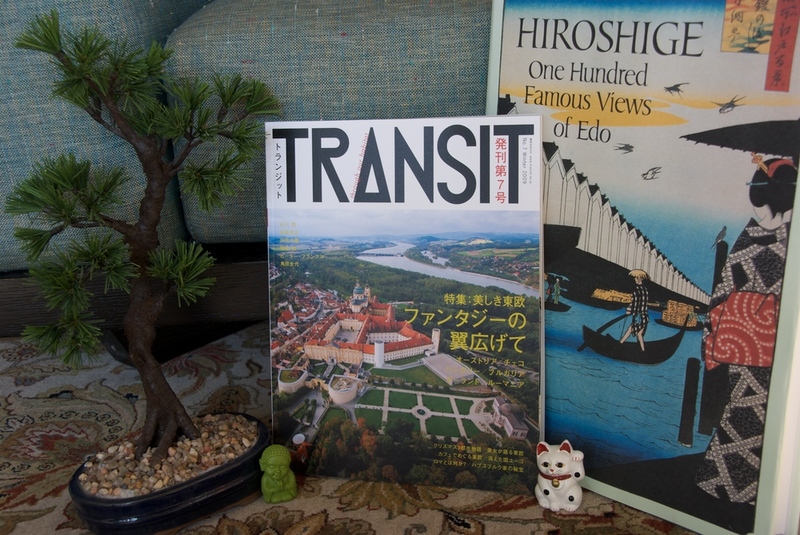 I was happy when recently I was contacted by Transit magazine, a travel magazine in Japan, which wanted to use this photo in an upcoming issue on Eastern Europe. So, officially, I am a published photographer.....very cool! I also included a shot of the cover of the magazine below, along with a few things I found around the house that had a Japanese feel to them. Corny but fun.